I currently have a 2009 Repsol Blade and am considering changing it next year. MT-10 is a contender (though small tank range is putting me off) and S1000XR (so long as they have sorted the vibes issue). 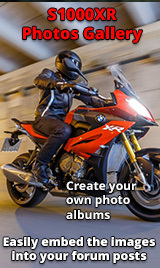 Looking forward to finding out more about the S1000XR from this forum. Welcome mate. Not sure you will get a total unbiased opinion here - after all we are mostly owners already. My tuppence worth is that it is more sports than tourer. I also had a 2008 Fireblade in black (the fastest colour) before changing it for a S1000RR. Then bought a Tiger 800XC as well for touring which I kept for 3 years, great bike but not enough power for me and the brakes were truly awful. Chopped in the Tiger for the XR and apart from the vibes I haven't regretted it once. Still got the RR but suspect I am faster on the XR, although the RR feels faster. Ping me if you want more details. In case you don't know there are 2 XR websites and I'd trawl both and look at the posts both are full of 'Best bike I've ever had' 'it's a keeper' all the usual net tosh and I have never known so many bail out of a newish model. 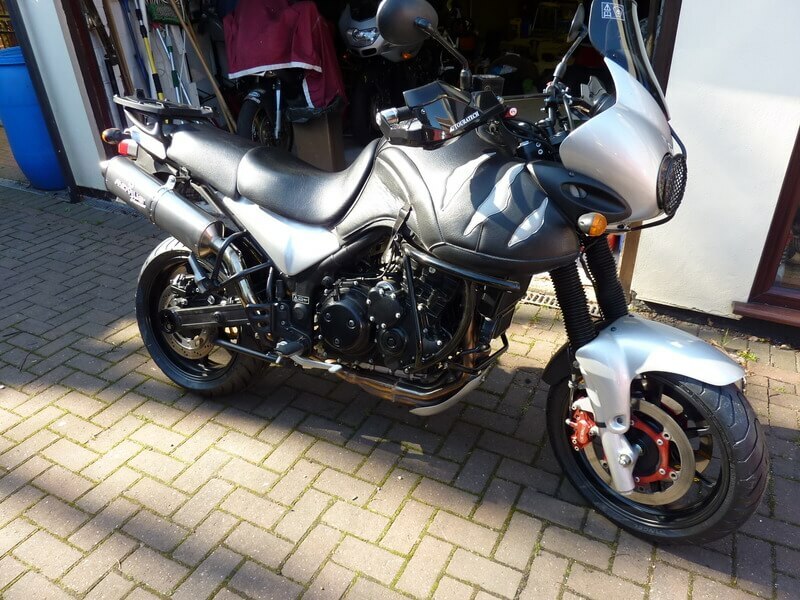 I've just come across a post on another site posted by an individual who owns an XR who has been jumping up and down about how good the XR is and he's going back to the bike he had before. Now I understand all of the above because your average punter is not a hard nosed focused rider and neither am I all the time and hence why depending on where we are going and what the weather is like depends on the bike we use,so I'd test ride one and do your home work and give it plenty of thought. I'm still some way away from how I want my XR but I keep my bikes years so I'm in no rush but certainly not the bike for everyone as you see by the number accessories you will see for sale on eBay and the websites from the bailers. Yep, already on both mate. I like to do tons of research before splashing the cash. I had a test of a GS and was convinced that I was going to get it, but during the test I realised that I really didn't like it at all. What I wanted was a 4 cylinder GS hybrid, so when the XR came out it was perfect for me. Are you keeping your Blade? I like my XR but couldn't envisage not having a sportsbike. How come you looked at a GS with a 19" front wheel I gave up on the idea 15 years ago and built this steers and brakes just as good as the XR but doesn't have the bonkers motor but with a 25L tank still quicker over 200 miles than the BM. Not exactly straight forward and god knows how many man hours its taken but still good enough to trip across Europe. Like those who moan about the vibes....didn't they test ride beforehand? Thanks for the replies guys. If I do go for one it would be as a Blade replacement. I have loved having the Blade for 7 years and have done 18K miles on it - including 2 tours of the Alps. I think I've had my "sports bike" fix now though and the better comfort, bigger tank range but still good handling and power really do appeal! Well the test ride has now happened and after a lot of searching about I've now ordered a 2017 blue S1000XR Sport SE - collect next weekend and I can't wait! Will be sorry to see the blade go as I have loved it but time to get something "slightly" more sensible and with all the toys! Wonder how quick I get through the first 600 miles! I have recently traded my s1000r for a 17 xr and love it . I have always had sports bikes and quick naked bikes and i can safely say this can do it all . I think of it as a tall sports bike . I had it out the other day with my mates on Busas, Blades and rc8 and was being mocked as an Adventure rider ! Nobody could believe how quick it was and how it handled . One of them wants to trade his RC8 for one . I honestly dont notice any bad vibes . There is no other bike i would prefer over this . I loved the s1000r and nearly bought the new model until i tried the xr . I pushed the bike hard around some super twisty roads and thought it was faultless . Would easily do a Knockhill trackday on this and not feel i would go quicker on any of my other bikes. I even wore my sliders the other day and it goes over lovely ! PS your licence wont be any safer on this , you only look a little more sensible .